Need your Jonas & The Massive Attraction fix and wanna see what the band’s been up to this past month in Europe? 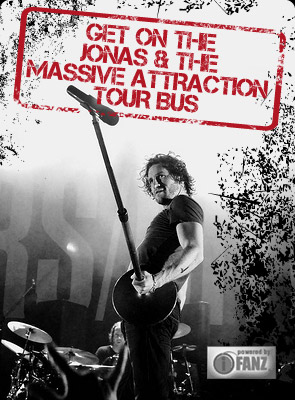 DON’T MISS Jonas & The Massive Attraction’s electrifying LIVE IN CONCERT WEBCAST performance for Rockpalast this Saturday, March 24, 2012 at 5:30 Pm EST (10:30 Pm CET In Europe) at WWW.ROCKPALAST.DE. The band has been tearing it up on stages across Europe in March with their no holds barred brand of rock & roll! This SPECIAL WEBCAST showcases Jonas & The Massive Attraction at their finest, with a 75 minute live performance of PURE ENERGY, as part of the “Crossroads” festival in Bonn, Germany at the legendary Harmonie Club. For a SNEAK PEAK of the webcast, check out “Big Slice” Live On Rockpalast.